Free 48 hour rush service... order today, ships in 48 hours! 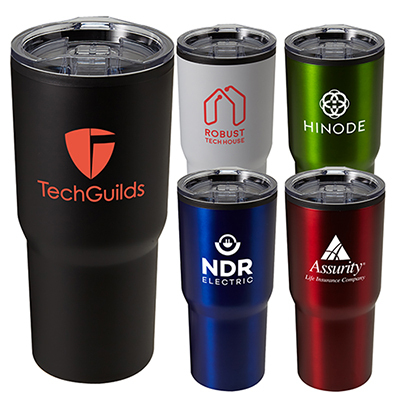 The personalized Plastic Tumblers are very popular and sleek giveaway. Now you can impress your customers, clients and/or employees by giving such useful products to them. 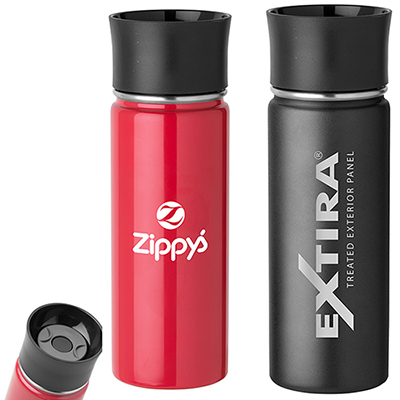 The tumbler comes with a stainless accent band and a screw-on lid with a thumb slide. 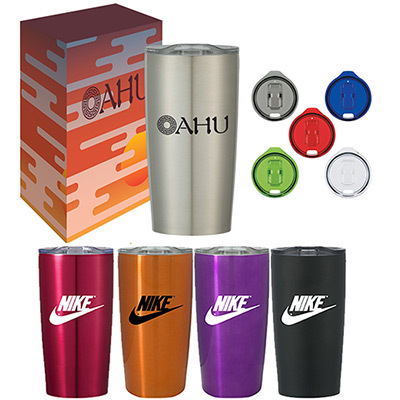 The double wall insulation keeps the beverages hot or cold. So what are you waiting for? Pick up your phone and order these amazing tumblers today! 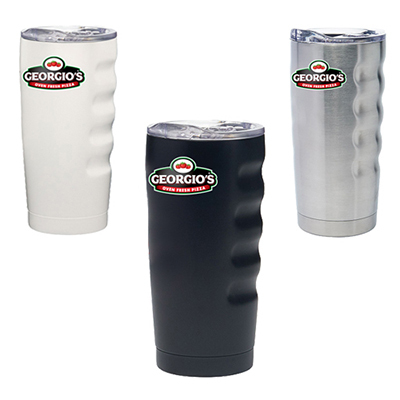 "These tumblers are exceptional and affordable." "Our logo looked perfect and I will recommend your service to others as well. " "We were looking for classy and upmarket giveaway. The Karma tumbler is just perfect. " 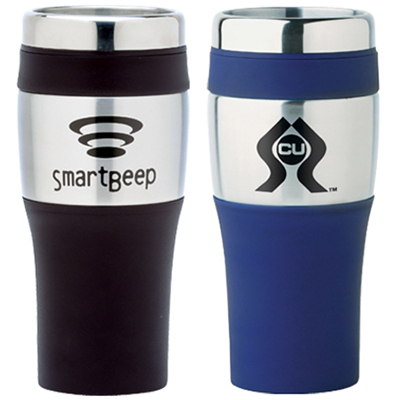 FREE SECOND SIDE IMPRINT...Take your drink on the go!